This Head to Toe product was created for the purpose of simplicity! I have naturally curly hair (My nickname as a child was “Curly top,” lol. ), and usually use our Curly Hair Pomade, after I wash my hair, as my only leave-in product. However, as I also use one of our facial moisturizing products for my face and one of our Buttery Soft Lotion Alternatives for my hands, this makes for 3 different moisturizing products. I actually love this routine! However, If going on a vacation, or in a hurry, simple can be better! Less is truly sometimes more. Knowing that most people travel at least occasionally, and lots of people are perpetually in a hurry when getting ready for work, we wanted to create simple, all in one products, that actually worked great! Silky Head to Toe is that moisturizing product. We also have Head to Toe soaps for this purpose as well! 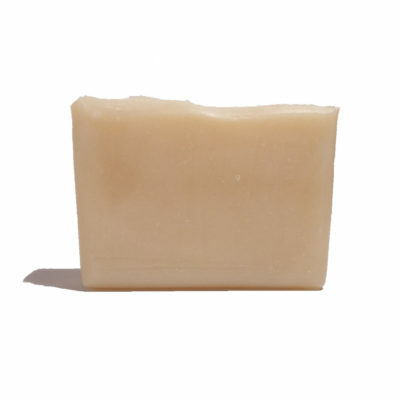 After shower take a very small amount and rub between hands until hands are lightly and evenly coated. Smooth lightly over wet hair*. Proceed to face and sparingly hit those fine lines and any dry spots. Then hit the dry patches on your body lightly. Presto, you’re finished! If you use on bottoms of feet put socks on your feet or this may cause you to slip! Allow to absorb in before dressing, but if it takes more than a couple minutes to absorb in, you are using too much. As we do NOT use water and emulsifiers in our body products, this product is extremely concentrated! Start with approximately 1/4 tsp for shoulder length hair. Lightly distribute with fingers while hair is still wet. Do not add more the first time you use this product as it may make hair oily if you use too much. As with many new products when you are “going natural”, this product does have a learning curve, and will likely take 3-4 times of using before you “get” the amount that works for your hair. Don’t give up! 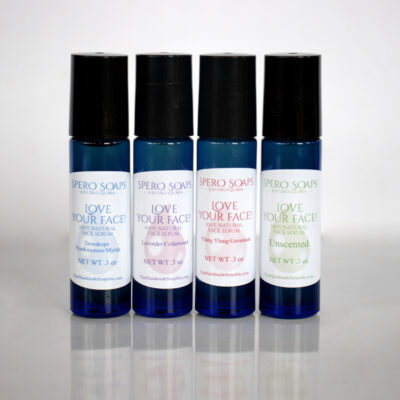 Feel free to contact us here at Spero Soaps if you have specific questions regarding this, or any, Spero Soap product! Please note: As with all new products, test on small area of skin and wait 24 hours before continued use. If any reaction occurs discontinue use immediately. Moisten your hands, knees, or anywhere dryness is a problem with this all natural handcrafted lotion alternative that has a Shea and Fruit Kernel Oil🍑 base, with Meadowfoam, Jojoba and Rosehip oil🌹for moisture and smoothness! 💦 This is an extremely concentrated “lotion”, it just takes a dab, so the jar will last a long time! We burn wood for heat in our home🔥, so our home, and thus our skin used to be extra dry in the winter. This product was the result of months of testing and formulating, aimed at overly dry skin! We were the first guinea pigs, and after we went months with smooth hands we passed it on to our testers, who also had fabulous results! This lotion alternative is truly amazing! 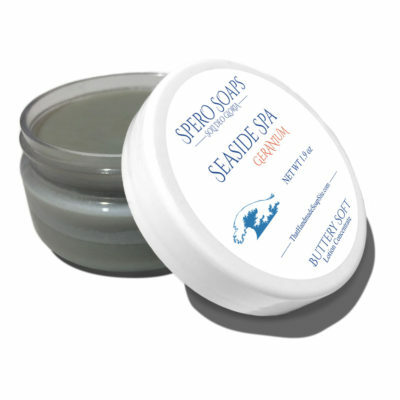 Please Note: Seaside Spa does not contain Menthol. If you would like a Buttery Soft lotion alternative that does contain Menthol, try our Elbow Grease. Ingredients: Cherry Kernel oil, Shea butter, Peach and Apricot Kernel oils, Extra Virgin Organic Coconut oil, Beeswax, Argan Oil, Jojoba, Meadowfoam oil, Mango Butter, Babassu Oil, Rosehip oil, Dead Sea clay, Natural Vitamin E, Rosemary oleoresin (ROE).